LIBREVILLE, Gabon – Juary Soares scored a late equaliser and debutant qualifiers Guinea-Bissau stunned hosts Gabon with a 1-1 draw in the opening match of Africa Cup of Nations 2017 here in Libreville on Saturday. Gabon grabbed the lead in the 52nd minute when captain and leading striker Pierre-Emerick Aubameyang turned home a cross-shot from Denis Bouanga from very close range. Aubameyang also squandered a good chance inside the box late in the game when the Borussia Dortmund forward volleyed over the crossbar. 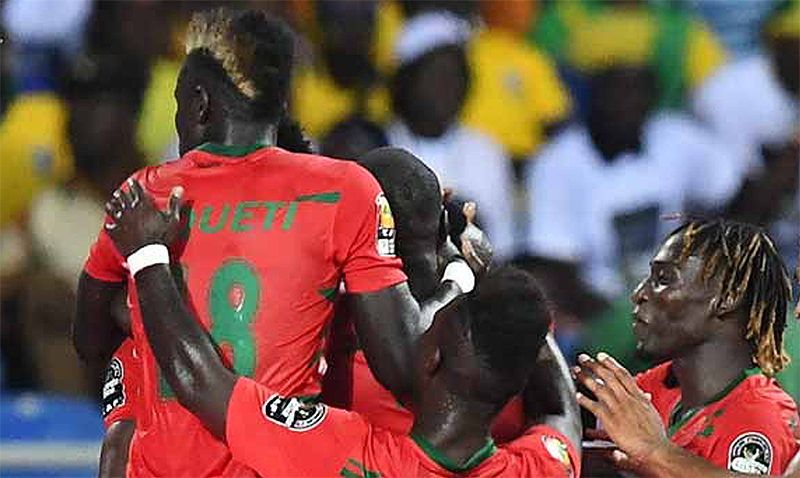 Still, the host nation looked well on its way to securing the three points until Guinea-Bissau stunned the home supporters with a late equalising goal. Guinea-Bissau were awarded a free-kick in Gabon’s half of the field and it led to Soares heading home past the goalkeeper off the set piece situation delivery from Zézinho. “We knew Gabon have an excellent team and the best player in Africa and in Europe,” he added. The home supporters jeered loudly at the end of the game, as they felt think Gabon didn’t do enough to secure the win. At the same time, though, it was a great point for Guinea-Bissau who were picked to finish last in the group.